You already know how to manage images and albums on Facebook. Have all that content on your site right now! Synchronized. Works well with profiles and not just pages. Why is the Facebook source super useful? One of the reasons why Justified Image Grid has a model that lacks its own content source is the ease of use of external sources. Most people are already familiar with uploading pictures to Facebook. This allows to leverage the fact that no technical skills are required to manage and maintain galleries over time. Once you connect the plugin to Facebook, just keep adding photos. However, you will not only build Zuck's site, but also your own! How? Your Facebook albums can simply appear in WordPress using Justified Image Grid. If you are a developer, why would you care? Less work for you! Wouldn't it be cool to tell your client that he or she can just manage the site's photos from Facebook? They'll be delighted to know that there is nothing new to learn. You just set up one gallery for them and everytime they add new stuff, it'll get synced to their website. Not just in any way but as a beautiful justified grid. Various built-in modes help to show multiple or single albums in the most useful ways. The point is to set it and forget it, for a self-updating section on the site which is sourced from a Facebook profile or page. Read on to learn how this works! Learn more about what can you display from Facebook! Each display mode has more detailed demos and explanations to find out which one suits you best. This is an index page for the Facebook source. Add a single album from Facebook to your WordPress posts, pages, sidebar... Facebook albums are automatically synced to your site with Justified Image Grid. Show all albums from a Facebook profile or page on your WordPress site. With the Facebook overview feature of Justified Image Grid it's easily accomplished. Select multiple albums to show or hide from a Facebook page or profile. They'll be in a dynamically generated WordPress gallery that can open each album. Directly open Facebook content in lightbox albums on a WordPress site. Present multiple albums without ever leaving the page, using Justified Image Grid. Show the latest album from Facebook on your WordPress site. It can also open as a lightbox album from a single cover picture in the sidebar. Which are the common aspects of using Facebook content? Learn how this source works and you'll be confident that it's one of the easiest ways to manage a gallery. What kind of Facebook content can this plugin fetch and how? ...from a Facebook page that you are an administrator of. Content from anyone's profiles or pages - only if they explicitly allow your usage and by making them a test user of your app. Any number of users or pages can be added at the same time. You need to have a basic Facebook App created for access - the plugin guides you through the setup. Per Facebook standards, a user's access lasts for 60 days - you can renew it anytime. What settings are shared among all Facebook display modes? Select an image size to open in the lightbox. These are Normal, Larger and Maximum which are subject to availability. Cache Facebook content so their API is not exhausted by the barrage of your visitors. 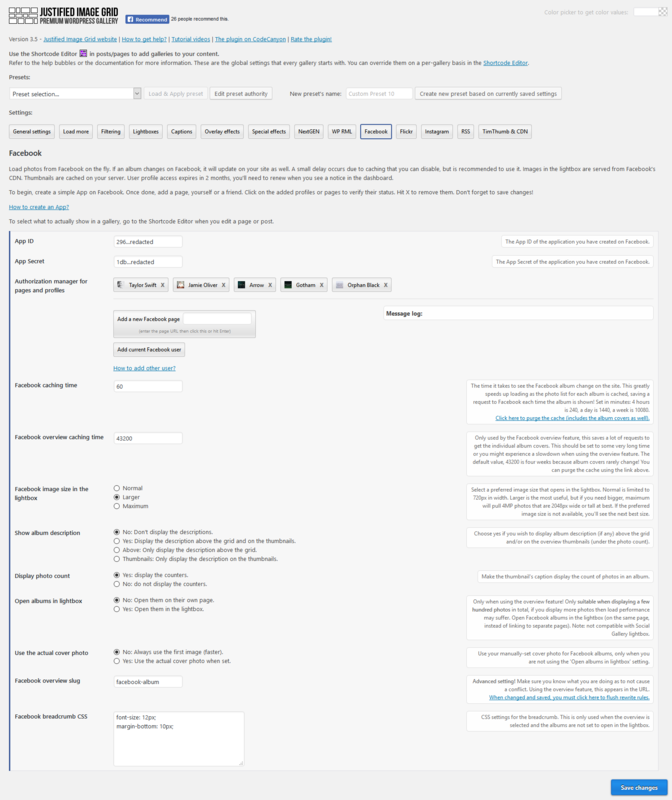 Automatic sync outside the customizable cache period. There is no "button" to pull or copy fresh content in. 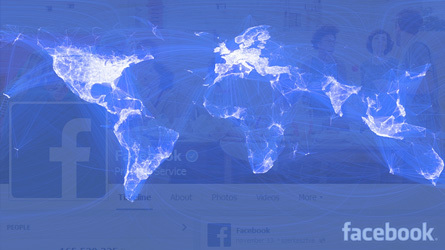 Lightbox images are served by Facebook CDN. Thumbnails are cached on your CDN / server.